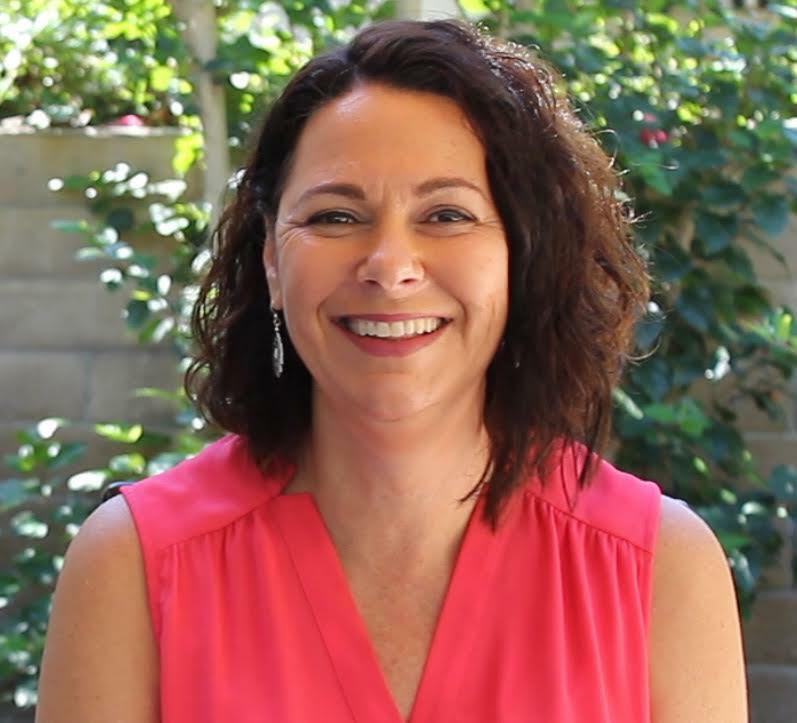 The PRIDE Reading Program has announced that The Palo Alto Unified School District is one of the many communities in California trying to make the new state dyslexia laws work for the teachers, staff and students both in special education and also in the general education classrooms. The California State Legislature passed Assembly Bill 1369, which requires that the California Department of Education must create state Dyslexia Guidelines to assist teachers and parents in supporting students with dyslexia. The guidelines were developed and published in August 2017. 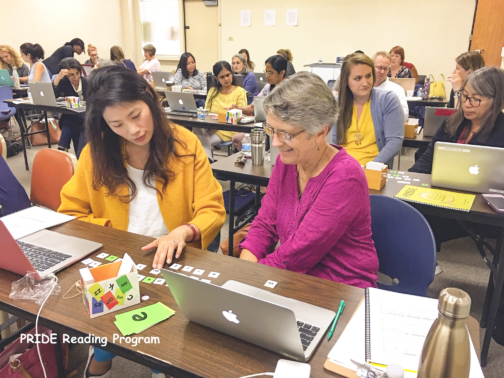 The Palo Alto Unified School District began a partnership with the PRIDE Reading Program to address the needs of the district’s dyslexic students as well as provide professional development trainings and an Orton-Gillingham, structured literacy curriculum for the staff and teachers to use in the classrooms. 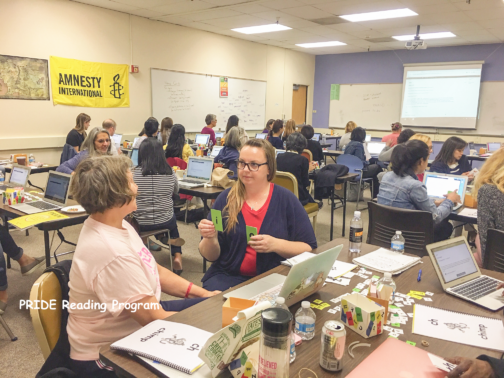 Over 30 teachers, including special education teachers, reading interventionists and teaching assistants, attended the first professional development workshop on October 5, 2018 to learn the steps of the PRIDE Reading Program. 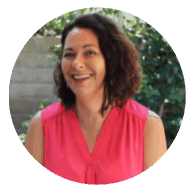 The program, written by PRIDE’s Founder, Karina Richland, uses an evidence-based instructional approach that is structured, sequential, multisensory and cumulative. 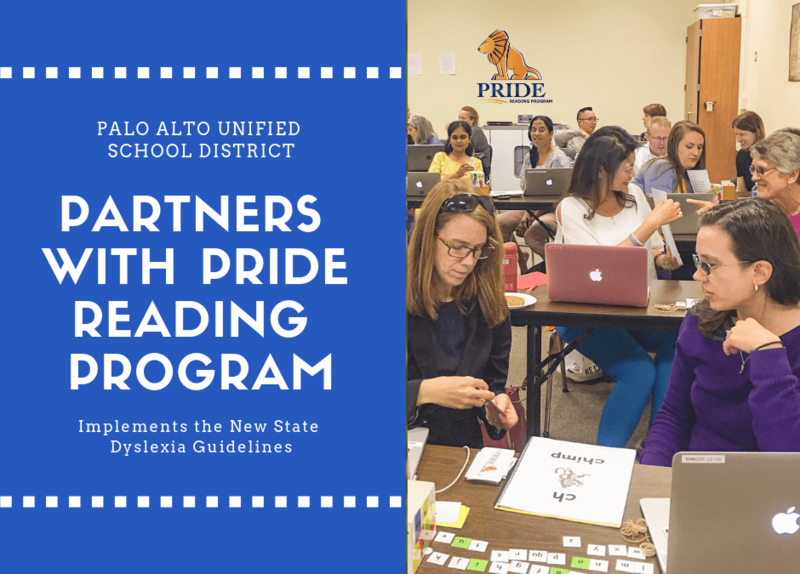 The Palo Alto Unified School District together with the PRIDE Reading Program has already made huge improvements in providing the best curriculum and instruction necessary to improve the educational experience for students with dyslexia for the Palo Alto community. “We are thrilled to share our love and passion for Orton-Gillingham with more school districts like the Palo Alto Unified School District” says Richland.